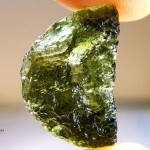 Moldavites have formed in specific shapes from rotation of the viscous melt in the atmosphere. 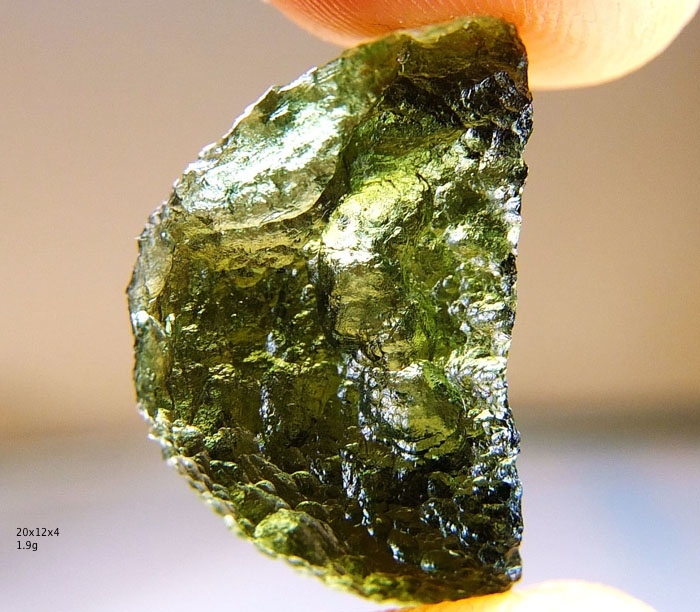 Many Moldavites have been found with the same recognized shapes seen in tektites from other worldwide localities. 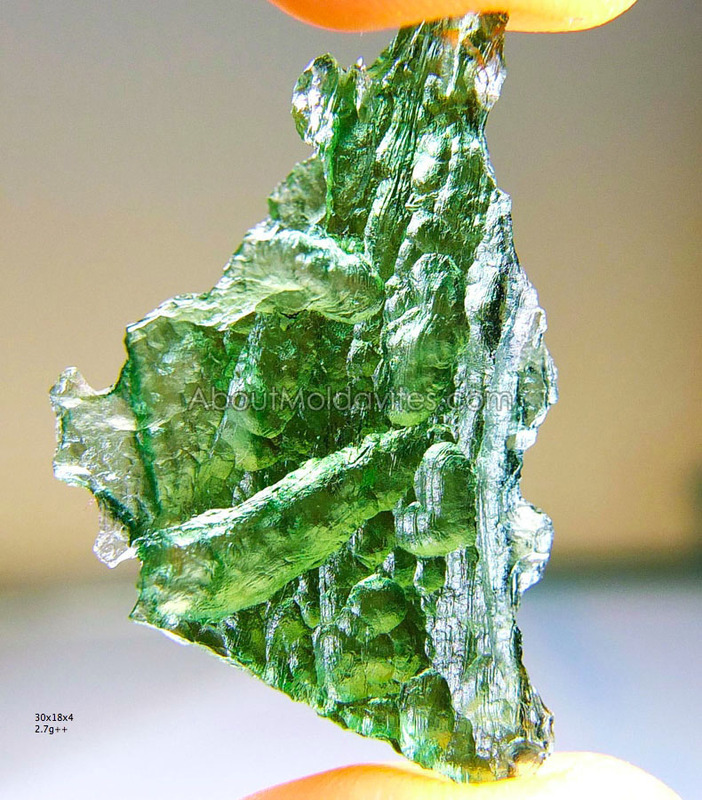 The present-day moldavite shapes are not only the result of their formation in the time of their origin but distinctly reflects also the effect of later processes. 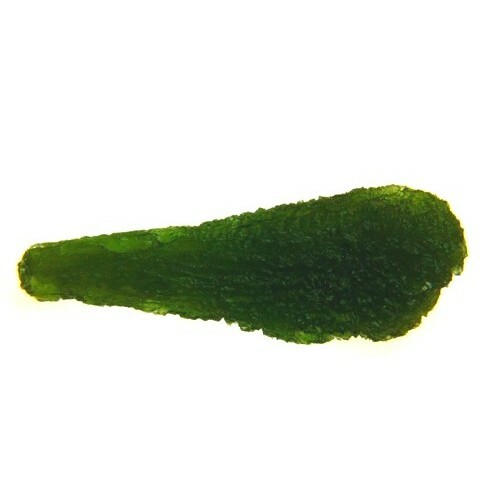 Subsequently the moldavites were shaped by transport in sediment. 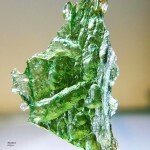 The final look of moldavites was influenced by chemical corosion in sediments – the effect of acidic and alkaline solutions. The smallest fragments were totally melted. The most common group are the splash-form moldavites. Parts of primary shapes – result from falling on Earth’s surface, geological transport and spontaneous fragmenting in sediments due to the influence of internal stress. Non-specific shapes – result from falling on Earth’s surface, geological transport and spontaneous fragmenting in sediments due to the influence of internal stress.